I didn't like the new system when I left but I can get used to it. HAPPY belated BIRTHDAY, but once again, Gale, a.k.a. CosplayKoibito/"KoiCos," hobbyist dude! 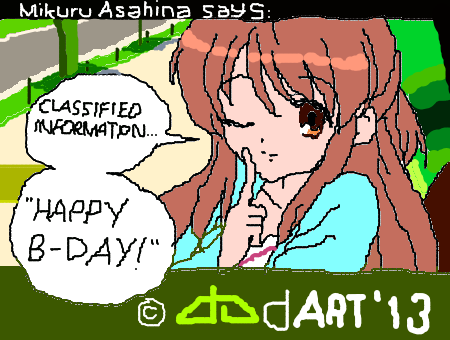 Remember the two anime (Haruhi-chan 'n Mikuru) muro drawings I just made for you last year, hobbyist dude? Good luck from yesterday, but once again, and I hope you had a great b-day! And once again, keep up the good work on all awesome hobbies 'n cosplays; I love 'em! HAPPY BIRTHDAY once again, CosplayKoibito/KoiCos, devious dude! 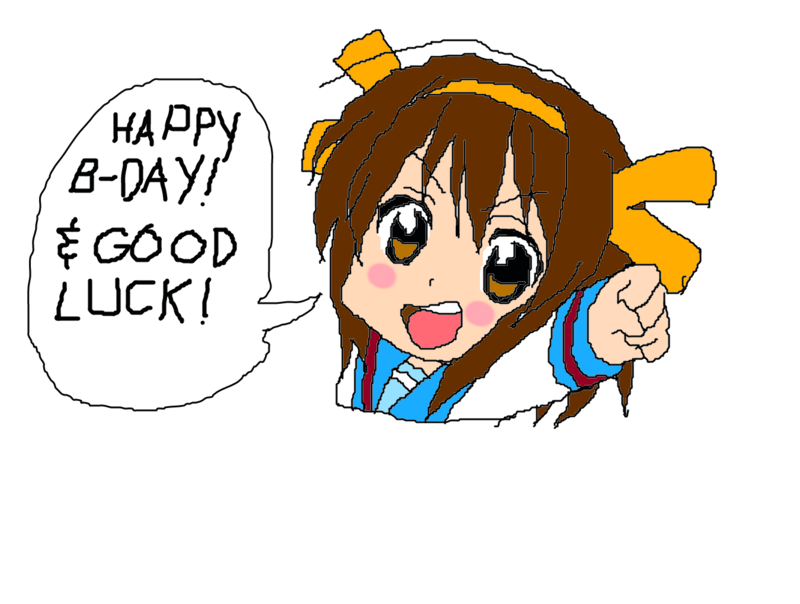 Good luck once again, and I hope you guys'll have a great b-day today!